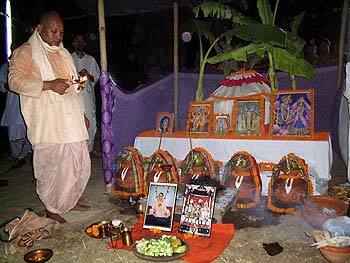 Arati is performed at a makeshift altar that has been prepared with care and dedication. 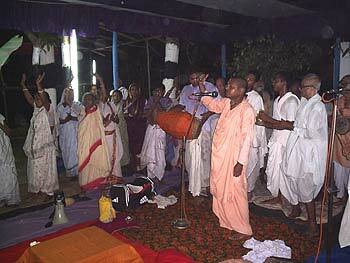 ...and everyone becomes very happy, dancing while singing the glories of the Holy Name. 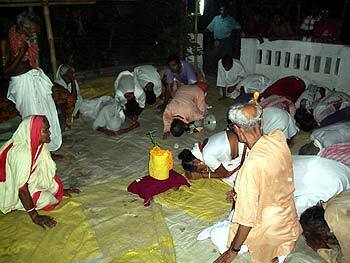 The arati ceremony concludes with circumambulation of Srimati Tulasi Maharani and obeisances. 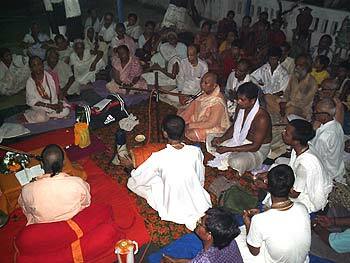 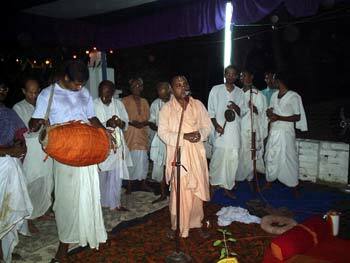 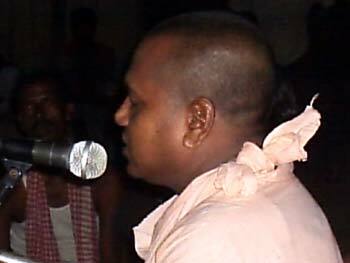 ...and afterwards Sripad Acharyya Maharaj delivers a lecture to the villagers about the glories of Mahaprabhu and His teachings. 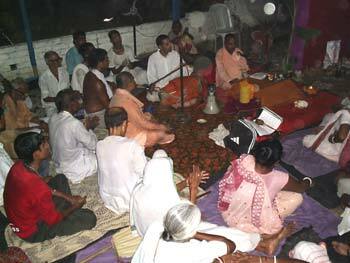 The villagers appreciate the event, and take the opportunity to participate and listen attentively. 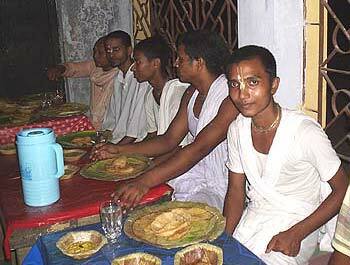 Finally, prasadam is honoured before returning to the Math.